Hot sauce, wrinkle cream, beverages, spreads, lightning, time, ... Your goal is to create a label for something and place it on an image of a bottle or jar. 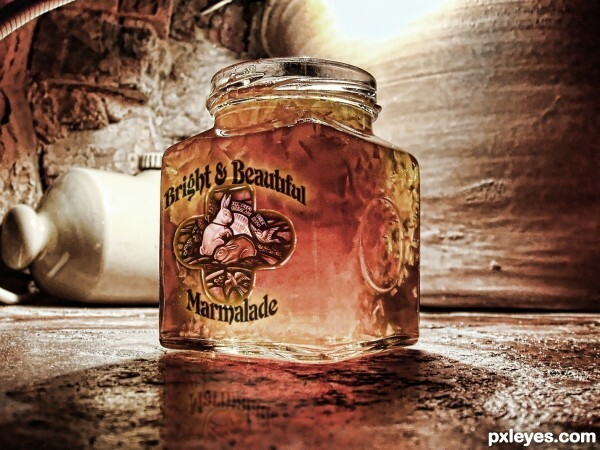 ONLY THE LABEL can be drawn, the bottle or jar must be a photograph, although you can warp or distort it as desired. 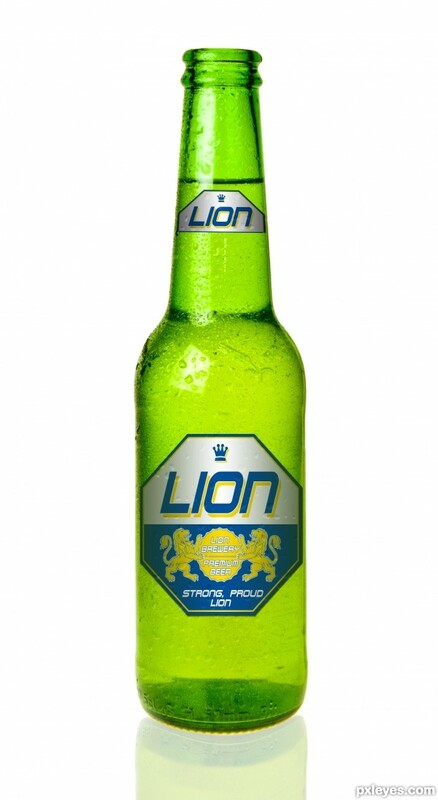 have a refreshing sip of lion beer in the evening, quenches your thirst and gives you new strength for next days work. thank you MossyB, I can understand your point of view but I'd like to disagree. Don't be fooled by that highlight on the bottle neck. It's just the reflection of a small striplight to model the bottle. If you look at it a bit longer, you will find that the light on the bottle is very even. I actually used 4 lights for this shot, one coming from behind to make the liquid inside glow, one from the bottom, one from the front and that small striplight to put a highlight on the bottle neck. If you look at books regarding product photography you will see how it's done. Lion beer would not want the light to be off center when advertising the product. thank you all very much for your comments, I really appreciate them. About the straight horizontal lines: I do not see them to be a problem, as the label is pretty much level with the eye, whereas the bottom is slightly below. If you look at a bottle standing in front of you, you will notice that the higher your eyes go, the curvier the bottom gets. If your eyes are level with the bottom, you will see the bottom as a straight line. But thank you for pointing that out, it's an interesting aspect. WOW! Looks extremely real!! Could've fooled me! Cool, but I wonder why the labeling on the front of the jar doesn't affect its shadow. This is wonderful, like something you might find at a farmers market. Author, I like this ! I don't get the product, but that's OK. What bothers me is that the left and right edges of the label are much crisper than the left and right edges of the bottle the label is glued to. Don't know. I've cleaned up the jar edges, so I hope it's better now. 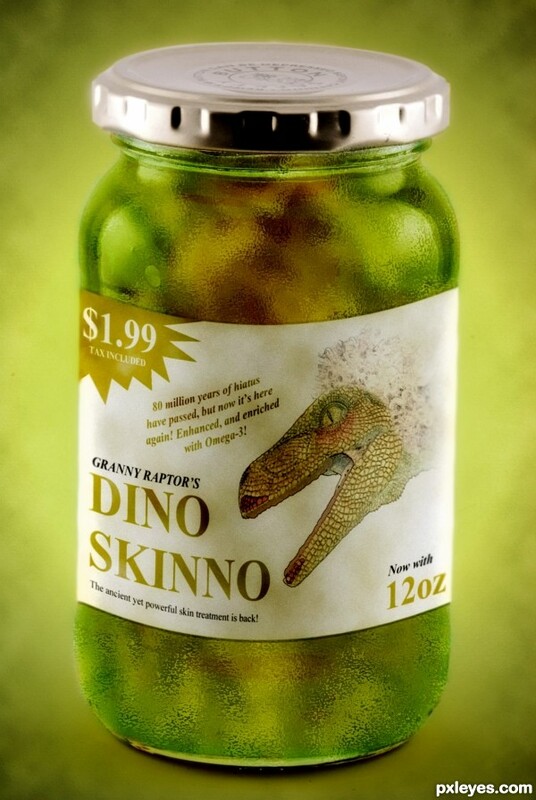 What I wanted to mean is that Dino Skinno is some kind of strange mix of who knows what stuff, quite similar to body creams, but for reptiles. Anyway, thank you for your remarks! Lovely author! Best of luck! Yes, thank you, Ernie, that probably would have helped with the definition a bit. But it's all merged now and curved, with the white streaks of 'light' on the sides...and I'm outta time! 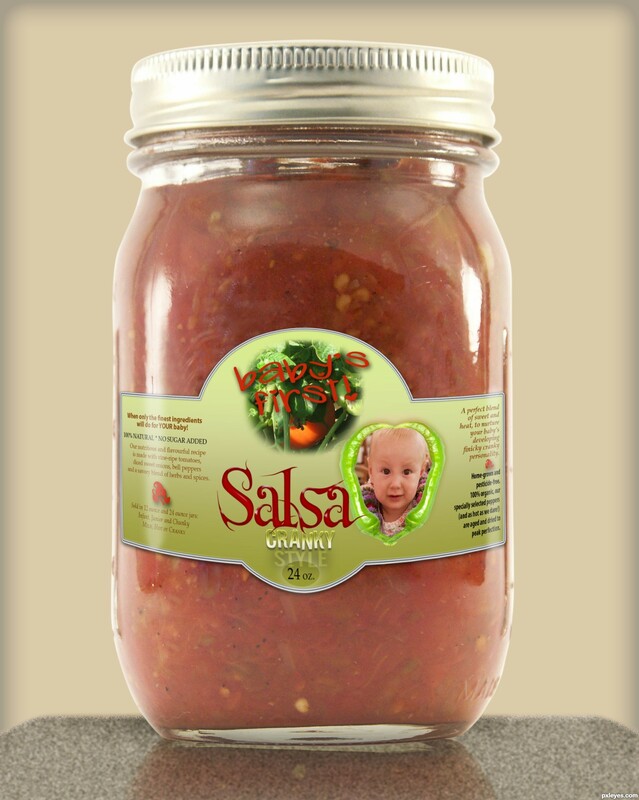 I didn't see the "baby's first," but saw the "Granny Style," and thought, "It's salsa made from babies?" LOL! The bottom edge of the label curves up around the jar just a wee bit too much, as if it was put on crooked, but otherwise, this is very well done, especially the light refraction! That's CRANKY, MossyB! lol - and yes, the label looks a little off to me, too, it was tricky as this is kind of a round-corner squarish kind of jar - and it was very late at night when I completed this, after looking at a computer all day. I did use guide lines for the warping, so they're evenly curved, though. Thank you for your comment - yours, too, kushpatel. 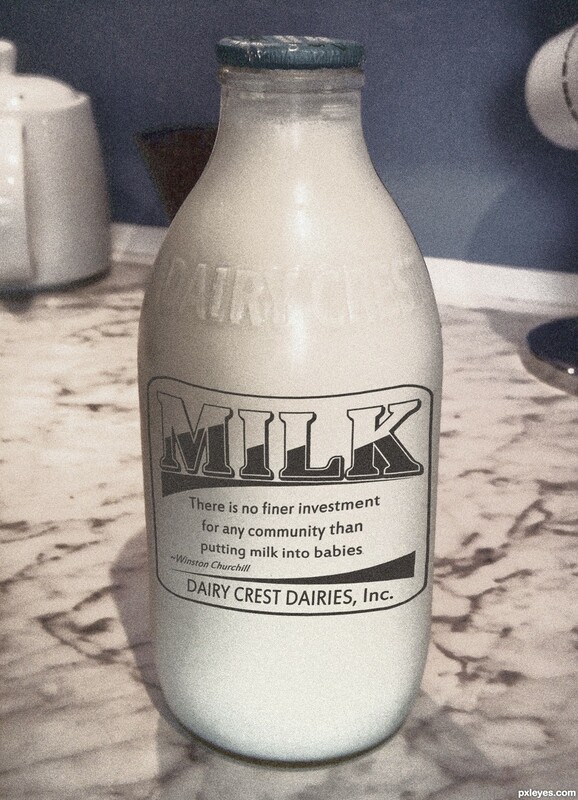 I will take one please for my baby! Well done author! congrats and a woo hoo!